Airship is excited to announce two highly anticipated launches for its SMS channel: SMS (Short Message Service) Keywords and MMS* (Multimedia Messaging Service)! 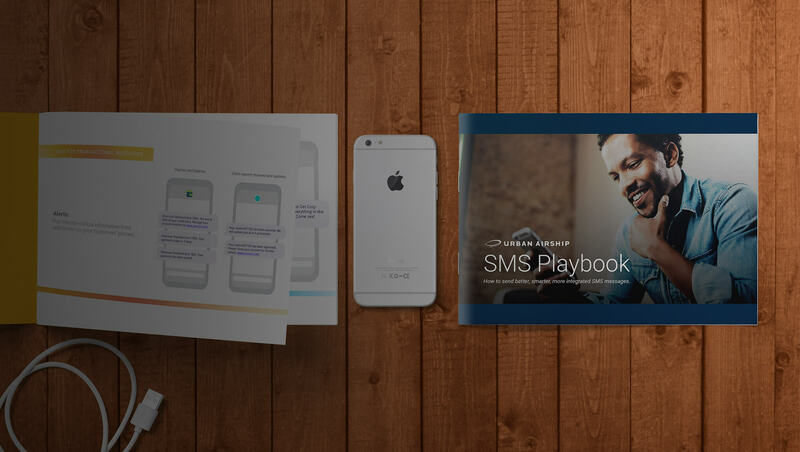 With these new features, you will be able to take your SMS engagement strategy to the next level. So, how do these new features work? For SMS Keywords, it’s pretty straightforward: you can set up your SMS system to look for and respond to selected keywords, and each keyword can have its own unique response or optional opt-in flow. This allows the message flows to have specific keywords for locations, channel attribution, or simple text, like “win” to enter a contest without an opt-in. MMS are messages sent over a cellular network, like text messages, but with multimedia, such as pictures or GIFs. MMS messages also don’t have a standard text limit, unlike SMS messages that are limited to 160 characters per message. Adding that visual touch to your text messages can make a big difference! Industry stats indicate an increased click-through rate of 15% when using an MMS message. Awesome, right? Here’s how you can use keywords and MMS to drive engagement throughout the customer lifecycle. 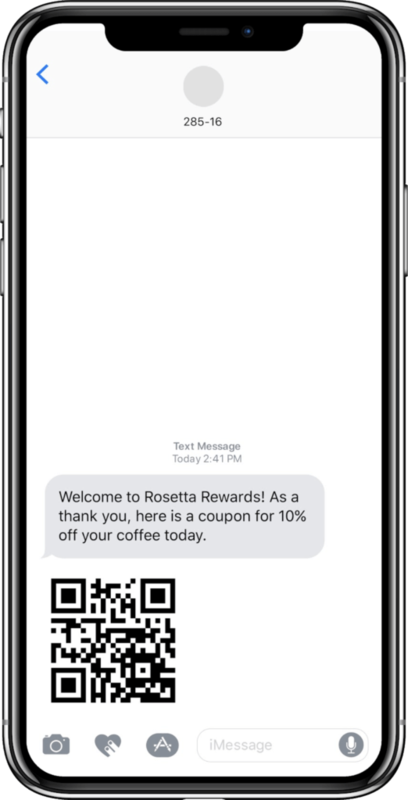 You can make it easier for your customers to join your loyalty program by using SMS keywords like “LOYALTY” or “REWARDS.” When your customer texts the keyword to your dedicated short code, you can set up a conversation flow that encourages opt-ins to your text or MMS messages. 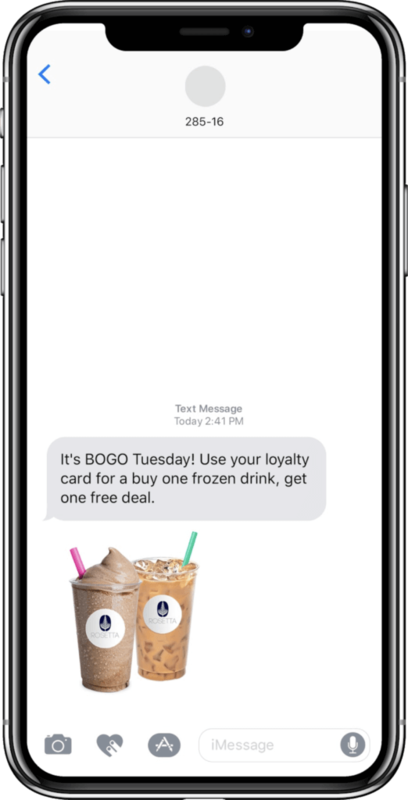 This creates a continuous communication channel with new loyalty members where you can engage them even further with GIFs and photos that will grab your customers’ attention. You can even send a coupon or QR code to welcome new loyalty members and drive that first purchase. With SMS Keywords, you can set up unique keywords to segment future messages with location-relevant information. For retail brands, this could include different keywords by store locations or even by department. Segmenting your customers by their product interest can help you to create more relevant and valuable SMS messages. You can also A/B test your MMS by segment to discover what engages your customers the most. 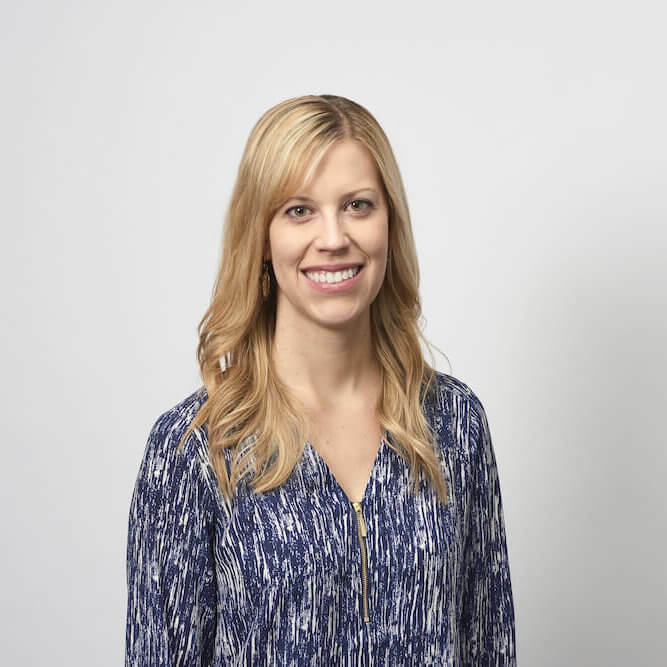 A GIF may perform better for shoe lovers than it does jewelry fans and different creative can perform differently for various store locations, so it’s important to continually optimize by segment. You can also set unique keywords by marketing campaign or inbound channel to better track attribution and segment future messages. 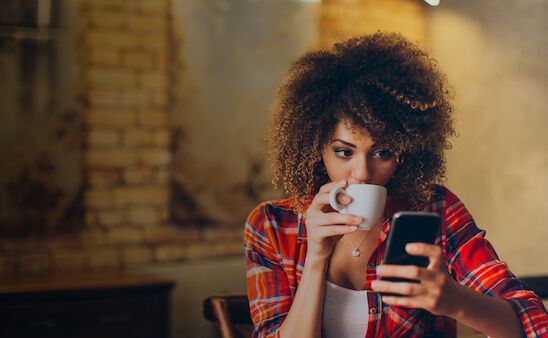 Knowing where your SMS opt-ins came from will help you understand and optimize toward the best performing channels and create more relevant messages. Keywords also allow you to create a more personalized and interactive customer experience on SMS. You can automate custom responses based on the keyword from your customer, such as welcoming them into a loyalty program or sending them a location specific coupon code. 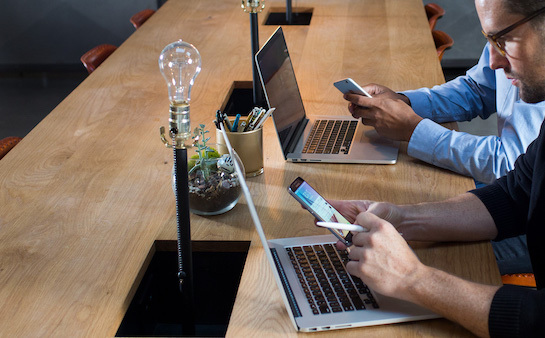 You can even automate more personal information, such as account balances, when a customer texts “BALANCE,” or make sure the customer is over a certain age by automating a response based on the birthdate they enter. Now you can understand why we’re pretty excited about these new features. Plus, Airship is now a member of GSMA, so we’ll continue to keep you updated on the latest SMS trends and best practices. *Currently only available in the U.S.
We would love to continue the conversation with you on SMS and what it can do for your marketing campaigns. Contact us and check out these other great resources.